The sixteen isomorphic triads are sometimes called the building blocks, periodic table, or even DNA of social networks. Structural balance theories posit that in social networks, some triads should occur much more or much less often than expected by chance. This Demonstration illustrates the expected frequencies in which these triads occur in random graphs of varying density. 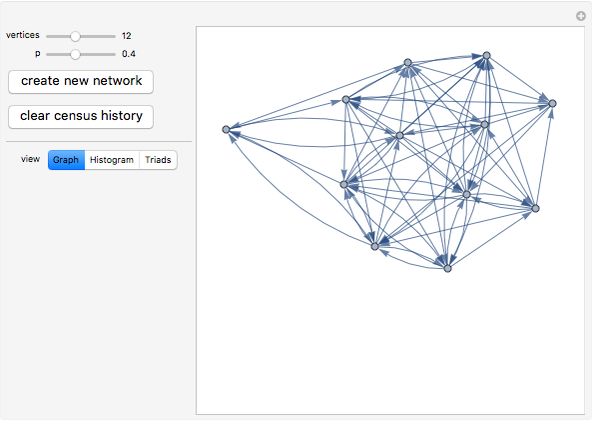 You can repeatedly generate networks with the same parameters. 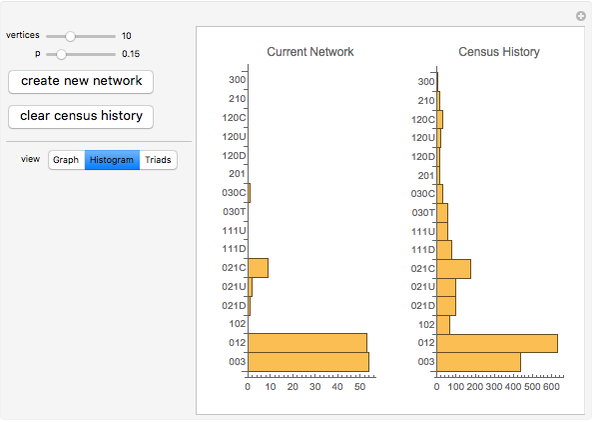 The census history should eventually converge to the expected frequency. 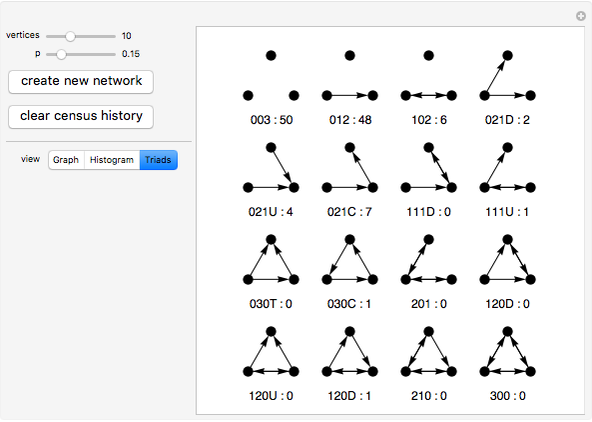 Philip S. Lu "Triad Census on Random Graphs"